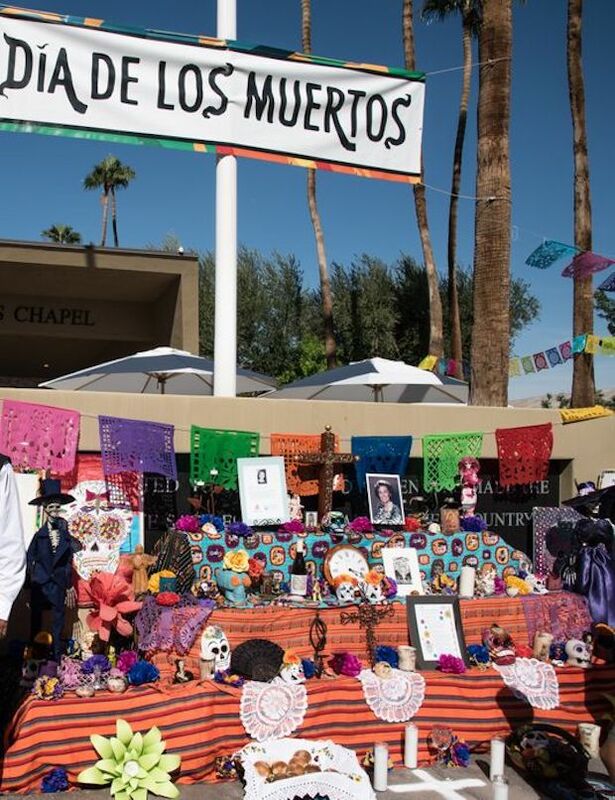 Well In The Desert hosted a day of activities based around remembering loved ones and honoring their grave sites at Desert Memorial Park. Face painting, arts & crafts, fun carnival games, and an art contest featuring student art from the Palm Springs Unified High Schools and Middle Schools were part of the day’s events. The celebrations were made possible by Harold Matzner, among others sponsors like the City of Cathedral, the Cathedral City Public Arts Commission, and Palm Springs Disposal/Jim Cunningham.